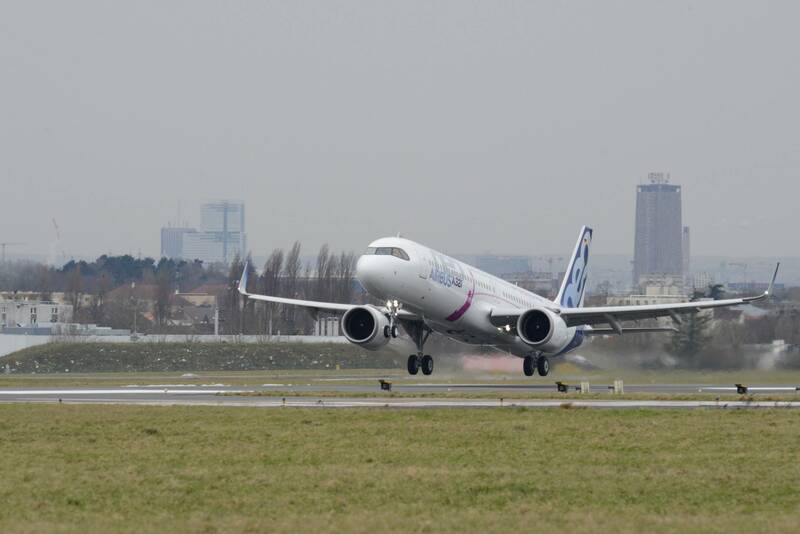 The European Aviation Safety Agency and the U.S. Federal Aviation Administration on Tuesday issued concurrent certification for the Airbus A321neo to operate with up to three additional center fuel tanks, allowing it to fly up to 4,000 nautical miles with 206 passengers. Corresponding ETOPS authorization enables up to 180 minutes of single-engine diversion time, a sufficient standard for performing any transatlantic route, according to Airbus. The A321LR’s certification includes approval of the “major change” to install up to three optional center fuel tanks in the A321neo, with their associated new fuel management systems and lower-fuselage structural reinforcements. It also marks the approval of the A321neo’s Airbus Cabin Flex (ACF) option, which incorporates a modified fuselage structure with new door arrangements and a higher maximum takeoff weight capability of up to 97 metric tons. Only A321neos with the new ACF structure can offer the 97-metric-ton mtow and the ability to accept three new center tanks. Previously, the A321 family could accommodate up to two tanks. While the ACF configuration will become standard for all new delivered A321neos from around 2020, the higher mtow capability and the ability to carry up to three center tanks will remain options. Customers will have to specify before aircraft manufacture whether they want an expanded fuel management system as well as the necessary structural reinforcements to secure the under-floor tanks. Airbus expects to deliver the first A321LR by the end of the year to Israel’s Arkia, which became the de facto launch customer when, according to the manufacturer, Copenhagen-based Primera Air deferred delivery of two from lease company AerCap. On Tuesday Primera abruptly halted all operations, citing various financial difficulties due partly to engine-related delays in A320neo deliveries.